If your caravan is drawing power out of your main battery to charge appliances, you may find that the battery is unable to keep up, meaning you could find yourself without enough charge to start your vehicle! As well as reducing the likelihood of a breakdown, dual battery systems are a convenient addition to your system because having an auxiliary system allows you to power more appliances and to camp at locations that are more remote from a power source you would otherwise have to rely on. And this, in turn, gives you more control over your timetable and itinerary. The main and auxiliary batteries are connected by what’s known as an isolator, or an Anderson plug, which allows your vehicle’s charging system to charge the auxiliary battery while you drive. This system is not dissimilar to the dual battery system that comes with most four-wheel drives. Isolators disconnect the two batteries when the vehicle is not in use, preventing the main battery from becoming drained. 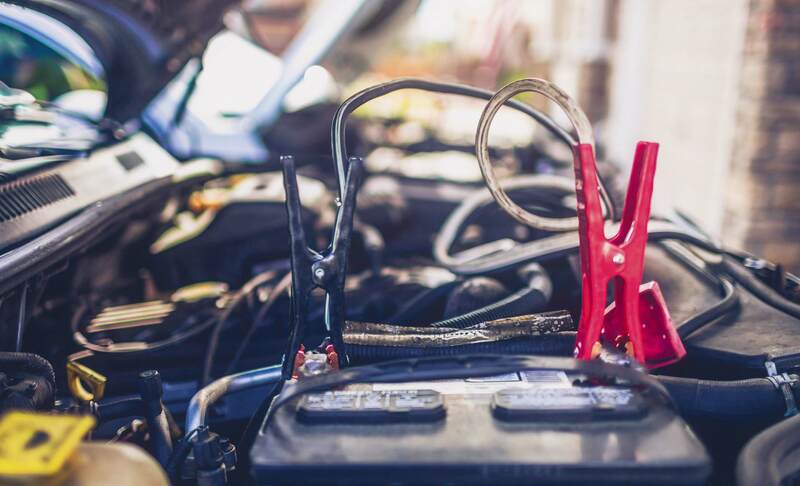 Without an isolator, you risk draining your vehicle’s main battery, because, quite simply, it’s the isolator’s job to separate the auxiliary battery from your main battery while the engine is not in use. Due to the difficulty of maintaining a fully charged battery with a traditional charging system, and to overcome variable charging rates, many caravanners have opted to install a DC-DC charging system to coordinate their dual batteries. A DC-DC isolates your auxiliary, or caravan, battery from your vehicle’s alternator in a way that causes your vehicle’s charging system to understand it in the same way that it understands a CD player or a set of spotlights – as just another a minor load. DC-DC chargers are also able to increase the charge of your auxiliary battery so that it will reach as close to 100 per cent charge as possible, something not achievable by many traditional battery systems. Many DC-DC chargers can be used in conjunction with solar panels, but be sure to check item specifications to before installing. This, as well as the fact that DC-DC chargers minimise the chance of damaging your vehicle’s mains battery through overcharging, makes them the preferred option for many caravanners.